GIG: Friday, February 1, 2019: 7pm: Comedy Music Night at Logan House (Wilmington, DE) – Hot Breakfast! Gable Music Ventures started this neat thing for old people awesome people called “Live Music for Early Birds.” I love this. It kinda drives me nuts when club owners hire four bands and the first one starts at 9pm, and then they get angry that you didn’t pack the place when you’re playing 3rd and starting at 11pm. 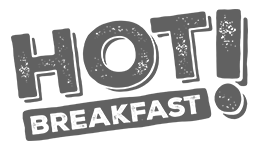 But Gable Music Ventures? They’re thinkin’! And they realize that our audiences probably don’t want to first be going out at 11pm… and I don’t necessarily want to be singing at 11pm either. Two Jills, and a Todd, and a Matt. Everyone kinda has four letters in their name. (Except Mean Wendy Band who isn’t pictured because they got added to the bill late and I didn’t have a chance to make a new image.) THIS MEANS SOMETHING. So they have a concert series at Kelly’s Logan House in Wilmington, DE that is on Friday nights from 7-10pm. Admission is free, and they set up tables and chairs, and you can even order food. It’s sweet! 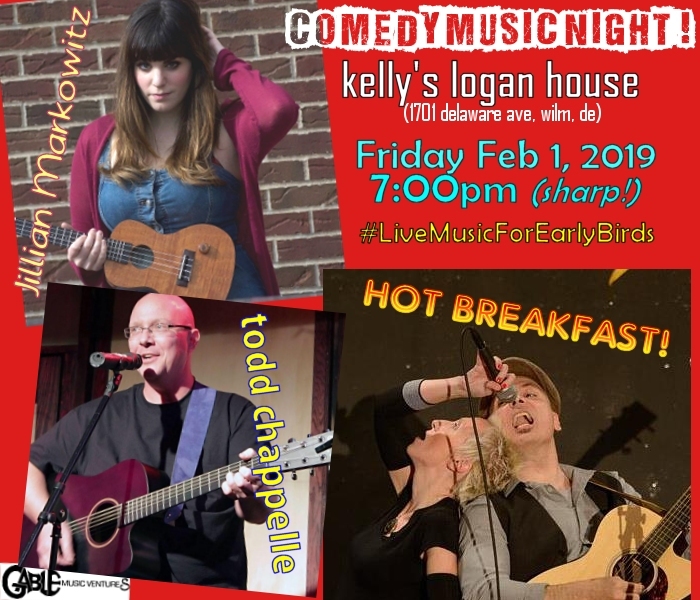 February 1st is going to be another Comedy Music Night, featuring us, our beloved Todd Chappelle, the delightful Mean Wendy Band, and someone we don’t know named Jillian Markowitz. She looks pretty cool, and if Gable hired her, I imagine she’s pretty spiffy. We’re going to do the show in “rounds” where each performer gets a 15-20 minute set, and then we go around the circle two times. So please don’t leave after our first set… we still have one more to do! 🙂 We play last in the lineup, so they say. This is subject to change, so please don’t complain if the evening doesn’t go like this. We don’t make the decisions, we just do what we’re told. So come on down to the Logan House! It should be a lotta laffs. WHAT: Comedy Music Night, for Gable Music Venture’s Live Music for Early Birds! WHEN: Friday, February 1, 2019. The doors open at 6:30, so if you want to increase your chances of getting a table, arrive early. There are definitely more audience members than tables/chairs available, so if you get there late you’ll be standing. Music starts promptly between 7:15pm because the entire evening must be done absolutely no later than 10pm. FAMILY FRIENDLY? I honestly have no idea if Jillian Markowitz works blue or not, because I have never heard her perform. I know Mean Wendy is not suitable for kids… but that’s kinda irrelevant because it’s a 21+ event. FOOD: They have a bar and a full menu there! PARKING: Lots of street parking. You might have to circle the block once, but you’ll get a spot. It’s still early.